Sample locally-grown produce, fresh baked goods and local delicacies at Lancaster farmers' markets in the Pennsylvania Dutch Country heartland. Farmer's markets in Lancaster, PA start bustling bright and early and are always stocked with produce fresh from the fields, succulent fruits, local meats and cheeses, and the sweetest baked goods. They are also some of the best places to pick up local delicacies like home-made jellies, relishes and chow-chow. You can even grab a bouquet of fresh flowers, many of which are grown right here in Lancaster County. Roadside stands and farmer's markets in Lancaster, PA are common throughout Pennsylvania Dutch Country, but we've made them easy to find. Welcome to a real historic treat, Lancaster Central Market. A farmers' market since the 1730's. Local, regional and world sourced food for your complete shopping experience. Clean, pleasant shopping in a country atmosphere. Thousands of bargains, lots of activity, and good family style restaurants. Cornucopia of homegrown fruits, local produce in season, sweet apple cider, bulk foods, cookbooks, and deli. Come and take your time... it's a relaxing farm market shopping experience. Experience mouth-watering aromas and tastes, and bountiful displays presented by approximately 30 local vendors. Amish Farm roadside market offering field to table fruits and vegetables. 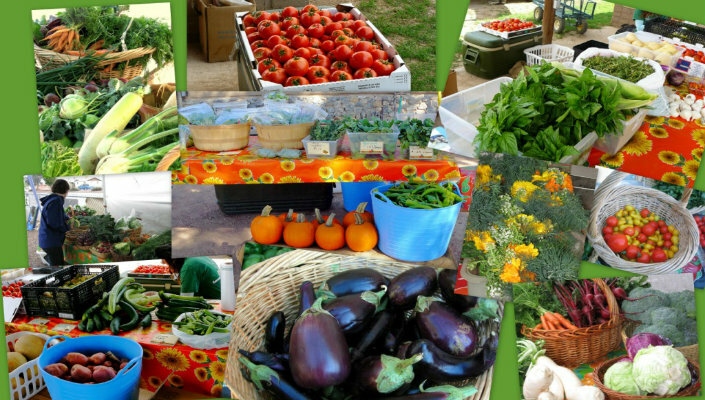 The best produce in Lancaster County! Our farm market is open all year. In season, pick your own Cherries, Peaches, Nectarines, and Apples. When in Lancaster, experience the best tasting food in the village. You'll want to visit the Village Farm Market.